Along with a list of local places to meet Father Christmas, there are also lots of other festive events going on in and around Aylesbury so I thought I'd compile a list of these as well so you can add them to your diary. Experience the magic of ice skating on REAL ICE on a spectacular indoor ice rink. Skate hire is included in the cost of the ticket. Times: Skating sessions last for 45 minutes and commence on the hour. Free family entertainment from 5.00pm. The lights will be switched on at 7pm, followed by fireworks and music. There will also be a small funfair and the shops are open until 8pm for some Christmas shopping! Children can make their very own Waddesdon souvenir coloured bauble. Personalised and ready to hang on your Christmas tree. Cost: £3 per bauble. Normal admission charges apply. People gather outside the Old Gaol to see the Mayor switch on the lights and to sing carols round the tree. Carols are also sung by the local primary school children. There is also a Christmas Artisan Market during the afternoon and evening with festive goodies. Come and join in the fun as Santa come to town! He will be parading through the town, along the High Street and into Friars Square for the opening of the Santa's Grotto. There will be a small funfair and activities in the town including free donkey rides. Santa's reindeer have escaped! Help Santa find all his reindeer, who are hiding somewhere in Black Park, in time for Christmas. Pick up a trail guide from the Black Park Kiosk. There's a prize if you find them all! Christmas Craft Activities for under 5s (drop-in). 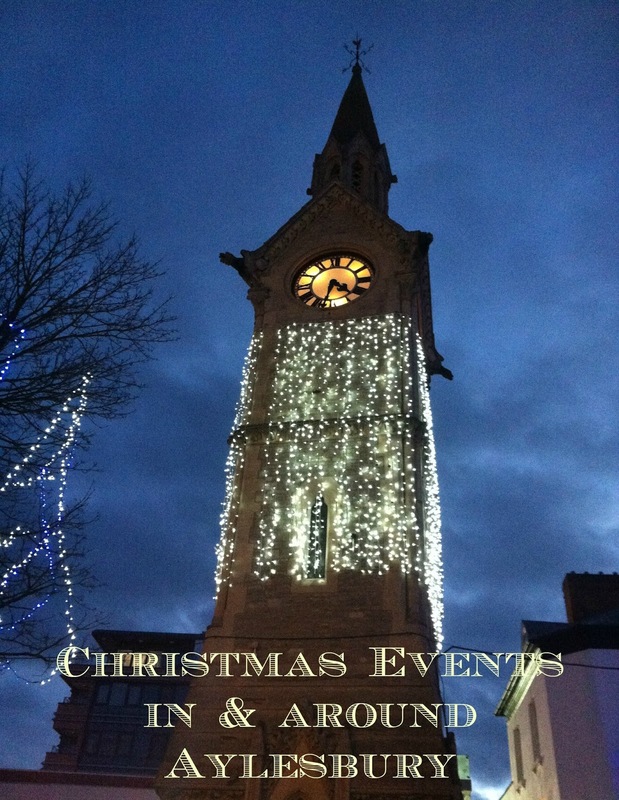 Enjoy singing carols in the festively lit square and music by the Aylesbury Concert Band. Kids can see Father Christmas arrive in his sleigh and meet the elves before visiting him in his grotto. Don't forget to bring a lantern. Create your own Christmas clay starfish. Messy play for under-5s. Santa is recruiting! Calling all budding rosy-cheeked apprentices, you're to become one of Santa’s newest recruits! Visit the Elf School at Kids Corner to learn the skills to graduate as an elf just in time for Christmas. A day filled with festive fun, music and entertainment including a giant inflatable snow globe followed by an evening of your favourite carols in the picturesque Market Square. Christmas party fun. Fancy dress welcome! Includes a little gift from a very cuddly Father Christmas! Must book in advance. Back by popular demand is this one-of-a-kind giant inflatable installation which will be in pride of place out the front of Starbucks. Grab a friend, take a seat and pose for a selfie like no other! The rosy-cheeked gent himself will be in residence (from 18th – 24th December) to wish little shoppers a very merry Christmas. Discover what animals Rudolph meets on his journey around the world delivering Christmas presents with Santa. Be sure to collect your chocolate prize at the end. These are fun panto style sessions suitable for all the family. There's a gentle introduction to a show style atmosphere with audience participation. This year's shows will feature either Tinkerbell, Ariel, Elsa, Anna, Princess Belle, Pirate Jac Crocky the tap dancing crocodile and Ferdinand the Friendly Fox. Must book in advance. These are just events I've come across on websites, Facebook etc. There's probably lots more and I'm happy to add any additional ones - just let me know the details! The details are as accurate as possible. Please check with the actual organisers/venue for up-to-date information. Hope you and your family have a great time over this Christmas period, whatever you're up to!